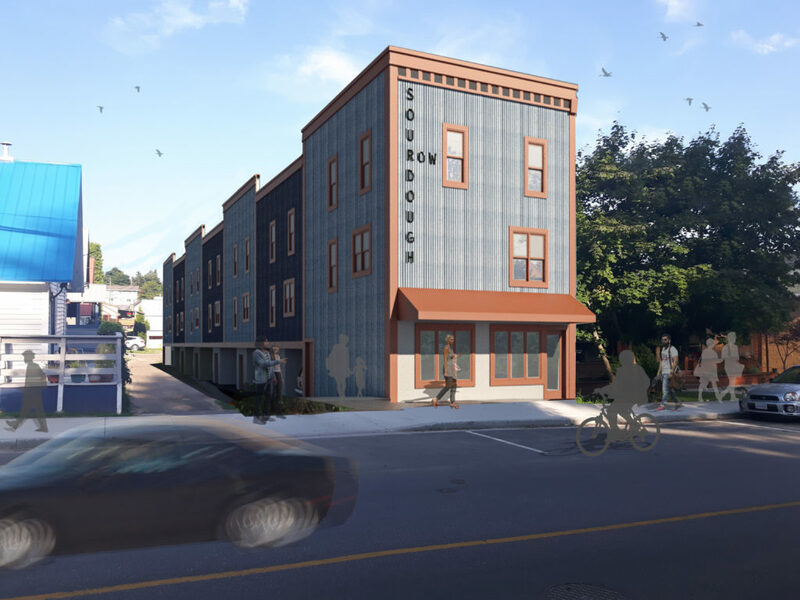 Sourdough Row, a proposed 7-unit, mixed-use building in the heart of downtown Rossland may soon add six compact residential suites and one commercial space to downtown Rossland. The building will occupy a long standing vacant area along the historic alley known as Sourdough Row, located just off Spokane Street, half a block north of Columbia Avenue. This prime location will offer residents easy walking access to all of Rossland’s downtown services and views south towards the mountains.